The AB series is a high performance digital servo system with advanced functions and supports various motor options including low, medium and high inertia servo motors to meet different application needs. It offers many motion control functionalities for a wide range of industry and machine applications, as well as provided in the A series. In addition, the AB series implements Modbus communication protocol as a standard, to connect with Delta’s programmable logic controller (PLC) and human machine interface (HMI), and establish the advanced architecture of the communication control system. Major applications include a vast range of machine tools and processing machines for various industries. 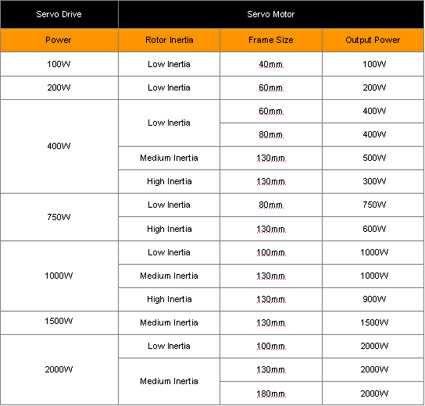 Purchase your Delta ASDA-AB AC Servo Motors today!